Blair M. Wojton, 75, of Glassport died Saturday April 20, 2019. He is the son of the late Matthew and Sophie (Ekiert) Wojton. He is survived by his siblings Carol (Richard) Dziki, Fran (Mike) Hoover, Phyllis (Bill) Beaver, Sta Wojton, Matt Wojton, and many nieces and nephews. Blair was a teacher at South Allegheny and St. Michael's, a member of the Glassport Council, Democratic Committee member, Lion's Club, and he also worked for Macy's and Puff's for many years. Friends received Thursday and Friday 2-4 and 6-8 and a celebration of Blair's life will take place Saturday starting at 10am with a Catholic service being held at 11am at the Wojciechowski Funeral Home 640 Vermont Ave, Glassport. In lieu of flowers the family requests donations can be made to the American Cancer Society in Blair's name. 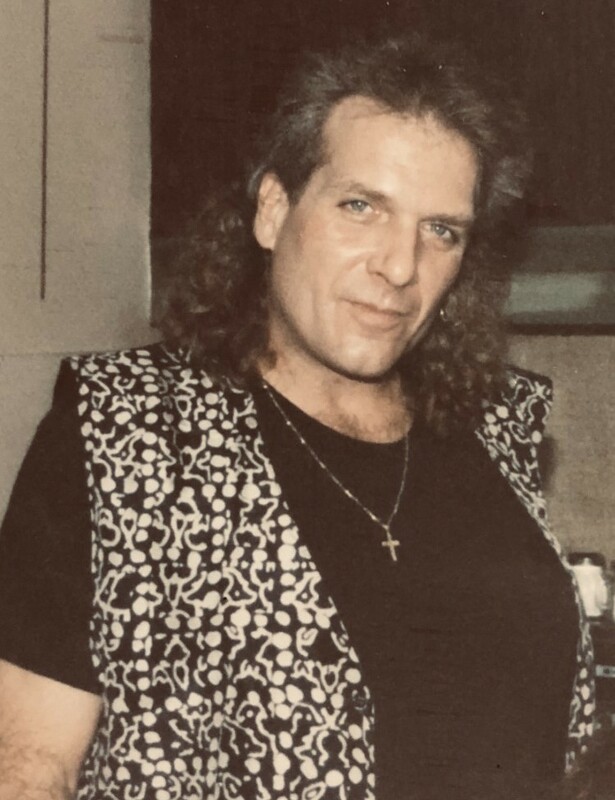 Wesley P. Galiyas, 64, of Glassport died Saturday April 20, 2019. He is the son of the late Peter Galiyas. Wesley is survived by his mother Amelia (DiLiscia) Galiyas; siblings Mark (Loria) Galiyas of Glassport, Gina (Russell) Grice of Glassport, Mary Jo (Scott) Gacovsky of Elizabeth, Paul (Donna) Galiyas of Glassport; 7 nieces and nephews; and 7 great nieces and nephews. Memorial contributions may be made to the family. There will be no service held, arrangements made by the Wojciechowski Funeral Home, Glassport. Helen Wrona, 89 of Elyria, OH, formerly of Liberty Boro, died April 1, 2019. She is the daughter of the late Joseph and Maria Wrona and beloved wife of the late John Wrona. Helen is survived by her sons Joseph (Anna) Wrona of Elyria, OH and Stanley (Terrie) Wrona of Charlotte, NC; grandchildren Mark, Steve (Kristy), Chester (Kaila), Elizabeth, Joshua (Sarah), Nathaniel (Bonnie) and Kaitlyn and great grandchildren Joseph, Adlyn, Carson, Luke, Audrey, William and Kennedy. Helen was a member of Queen of the Rosary Parish. Friends received Wojciechowski Funeral Home, Glassport, Fri. from 4 to 8. A funeral mass will be held Sat. 10:00 am at Queen of the Rosary Parish with Father Miroslaus Wojcicki. Interment following New St. Joseph Cemetery. Cheryl L. Varna, 68 of Glassport, died March 25, 2019. She is the daughter of the late Greg and Mary Varna. She is survived by her daughter MaryAnn (Clinton Fine) Stiehl; brothers Richard (Nancy) Varna of Safety Harbor, FL and Dan (Kathy) Varna of Cranberry. Cheryl was an active member and bartender for Dravosburg No. 1 Volunteer Fire Department. Friends received Wojciechowski Funeral Home, Glassport, Sun. from 1 to 6 and Mon. from 10 to 11:00 am. Olivia K. Gwaley, 94 of North Huntingdon, went to be with the Lord on March 22, 2019. She is the daughter of the late Rudy and Mary Mocibob and wife of the late Calvin Gwaley. Olivia is survived by her son David (Kathleen) Gwaley; grandsons Jonathan (Hope) Gwaley and Jason (Rachel) Gwaley and great grandson Finnley. She was preceded in death by her sister Natalie Kaftal. Friends received Wojciechowski Funeral Home, Glassport, Tues. from 9 to 10:00 am, at which time a funeral service will be held. Interment following Penn Lincoln Memorial Park. In lieu of flowers, memorial contributions may be made to McKeesport Hospital Foundation. Irene H. Miller, 92, of Glassport died Sunday March 2, 2019. She is the daughter of the late Alexander and Constance (Powichrowski) Matusky. She was preceded in death by her beloved husband George Miller and sister Genevieve Adams. She is survived by her son Kevin Miller and many nieces and nephews. Irene was a retired bank teller, was member of Queen of the Rosary Parish where she worked for many years and was also a member of the choir, and a member of the Glassport Senior Citizen's Center. Funeral arrangements by Wojciechowski Funeral Home, Glassport. Florence E. Roche, 95, of Lincoln Borough died Feb. 18, 2019. She is the daughter of the late Joseph and Mary Staiger and beloved wife of the late James Roche. Florence is survived by her son James (Karen) Roche of Cranberry Twp. ; daughter Karen (Gerry) Saylor of South Park; daughter-in-law Paula Roche of Arnold, MD; grandchildren Kelly (George) Miteff, Eric (Kristin) Roche, Scott (Amy) Roche, Dana (Robert) Stolze, Maureen (James) Nassau, Katelyn (Larry) Vogel and Christopher (Anna Zigmond) Saylor; sisters Ruth McGill of Pittsburgh and Dorothy Mae Dinzeo of Monroeville; aslo 11 great grandchildren. She was preceded in death by her son John Roche. Florence was a member of St. Mark's Parish. 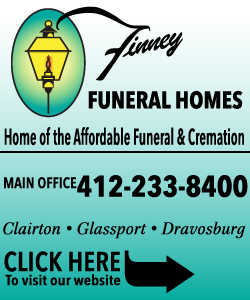 Friends received Wojciechowski Funeral Home, Glassport, Thurs. from 2-4 and 6-8 and Fri. from 2-4 and 6-8. A funeral mass will be held Sat. 12:30 pm at St. Mark's Parich, Liberty Borough. Interment following Round Hill Cemetery. James T. Pensenstadler, 76 of North Huntingdon, died Feb. 17, 2019. He was a man of many talents, had a brilliant scientific mind, and was an avid reader of quantum physics and the cosmos. He was preceded in death by his father William and mother Mary (Sotak) Pensenstadler. He is loved and survived by his children Theresa (Mike) Matthews, Kimberly. Pensenstadler and Michael (Joanne) Pensenstadler; grandchildren Emily, Michael, Christina, Anthony and Catherine; sisters Nancy (Steve) Knezevich, Carol Pensenstadler and Melanie (Mark) Norelli; brothers Dave (the late Helen) Pensenstadler and Rev. Robert Pensenstadler; along with several nieces and nephews. Jim was a retired Electronic Lab Technician for Westinghouse Research & Development. He was a hobby enthusiast of steam locomotives. Friends received Wojciechowski Funeral Home, Glassport Thurs. 2-4 and 6-8. A funeral mass will be held Fri. 9:30 am at Holy Name Church, 32 S. 1st St, Duquesne, Pa 15110, with Rev. Tom Lewandowski. Inurnment following Calvary Cemetery, Port Vue. 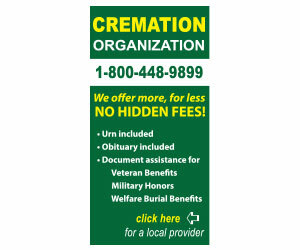 Memorial contributions may be made to St. Jude Hospital or your favorite charity. David Nolfi, 70, of Glassport died peacefully Feb. 15, 2019 with his family by his side. He is the son of the Mary (DeCarlo) Nolfi and the late Alma Nolfi. He is survived by his beloved wife Eileen (Mooney) Nolfi; children Jason Nolfi, Aaron Nolfi and Alicia (Brad) Koontz; grandchildren Brett Michael Nolfi, Jalen Dru Koontz, Jesse Aaron Nolfi and Juliet Rose Koontz; brothers Tim (Peg) Nolfi and Jared Nolfi and sister Alma Marie Nolfi. He was preceded in death by his sister Jessica Nolfi. Dave was a retired supervisor for Duquesne Light but his passion was as a pastor for the Church of Jesus Christ, both Glassport and Clairton for over 40 years. Dave was active in his church and community; mentored at McKeesport High School; traveled to India to minister and drove the blind whenever needed. A memorial service will be held February 23 at the Church of Jesus Christ, Clairton at 11:00 am. In lieu of flowers, memorial contributions may be made to the Church of Jesus Christ in David's name. Edward A. Valencik, "Mr. V", 93 of Glassport, died Feb. 7, 2019. He is the son of the late John and Rose (Simko) Valencik. He is the beloved husband of Dorothy (Terek) Valencik; children Elaine (Samuel) DeMarco, Ron (Claudia) Valencik, Janine (Angelo Norelli) Valencik and Linda (Bob) Dzialowski; grandchildren Emily (Dave) Kelly, Elise DeMarco, Julia (David) Callahan, Luke Urbanski, Zachary Urbanski, Lauren Dzialowski, Megan Dzialowski, Erin Dzialowski and John Dzialowski; great grandchildren Ailee Callahan, Dorothy Callahan and baby Callahan, Hawthorne Kelly and Asher Kelly. He was preceded in death by his brother John Lynch. Ed was a well known and much loved retired gym teacher at South Allegheny High School, where he also taught health, biology and science. He was a member of Queen of the Rosary Parish; CMO; Glassport Duck Pin League and Glassport Senior Citizens. He was a proud graduate of the University of Pittsburgh; played semi pro baseball for the St. Louis Cardinals; was an avid golfer and a huge Steelers fan. Friends received Wojciechowski Funeral Home, Glassport, Sun. 2 to 6. A funeral blessing will be held Mon. 10:00 am in the funeral home. Entombment following New St. Joseph Cemetery. Bea Ann Kudla, 59, of Glassport, died Feb. 5, 2019. She is the daughter of the late Peter and Beverly Paulovich. She is survived by her beloved husband Stanley “Stush” Kudla; daughter Andrea Salak; son Adam Bell; step daughter Natalie (Matthew) Scheiber; step son Matt Kudla; grandchildren McKenzie and Julian Bell; step grandchildren Holden Szerba, Addison Scheiber and Aiden Scheiber; sister Laura Keane; brother Charles Paulovich; also nieces and nephews. She was preceded in death by brothers Daniel, David, John and Brian Paulovich. Bea Ann was a member of St. Mark's Parish where she served as a Eucharistic minister and lector. She was a proud graduate of Robert Morris University and was a coordinator for UPMC for many years. Friends received Wojciechowski Funeral Home, Glassport Thurs. from 2 to 4 and 6 to 8. A funeral mass will be held Fri. 10:00 am at St. Mark's Parish, Liberty Borough. Interment following St. Mary's Polish Cemetery. Edward J. Osada, Jr., 76 ,of Glassport died Jan. 29, 2019. He is the son of the late Edward J. "Pickles" (Hilda Dudley) Osada, Sr. He is survived by his beloved wife Frances (Wesolek) Osada; daughter Kimberly (Randy) Adams; son Robert (Jessica) Osada; grandchildren Scott and Laura Adams and Jackson Osada; sisters Jean Ann Osada and Diane Stinner; sister-in-law Edna Monper; also nieces, nephews and cousins. Edward was a retired firefighter for Allegheny County. He was a graduate of CCAC; a member of PNA, American Legion and the Masons. He was a lifetime member of Reliance Hose Co. #2 and was a boy scout leader where he devoted time as an assistant scout master for Troop 296 and served in the US Army. Friends received Wojciechowski Funeral Home, Glassport, Thurs. from 2-8. A funeral service will be held Fri. 11:00 am in the funeral home with Rev. Hal Dangel. Interment following Jefferson Memorial Park. Robert J. Wawrzeniak, 88, of Glassport died Saturday January 19, 2019. He is the son of the late Michael and Blanche (Pokropski) Wawrzeniak. He is survived by his daughter Kelly (Paul) Heatherington, 9 grandchildren, 11 great-grandchildren, son in law Dennis Sobczak and daughter in law Beth Wawrzeniak. He was preceded in death by his beloved wife Mary (Hornyak) Wawrzeniak, daughter Lynn Sobczak, and son Mark Wawrzeniak. Robert was a member of Queen of the Rosary Parish, Polish National Alliance, American Legion, and was honorably discharged from the U.S. Army in the Korean War. He was the retired owner of Bob's Bar in Glassport where he spent many years with his patrons collecting monies for the UPMC Children's Hospital Free Care Fund. 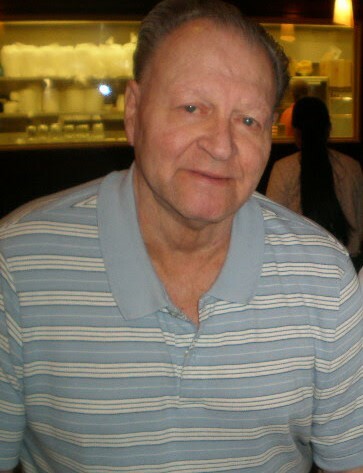 Friends received WOJCIECHOWSKI FUNERAL HOME, Glassport, Tuesday 2-5 and 6-7:30 at which time a blessing will be held. In lieu of flowers memorial contributions may be made to the free care fund at UPMC children's hospital of Pittsburgh www.givetochildrens.org which was near and dear to Bob's heart. Deborah R. Ruccio, 53, of Glassport died January 6, 2019. She is the daughter of Antoinette "Toni" (Braun) Iantimarino and the late Raymond Flohr. She is survived by her husband Thomas Ruccio; six children; five grandchildren; and four siblings. Funeral arrangements by Wojciechowski Funeral Home. Carl P. Masch, Jr., 74 of Glassport, died Jan. 2, 2019. He is the son of the late Carl and Susan (Molnar) Masch, Sr. 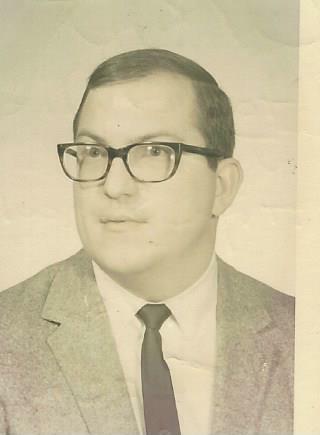 He is survived by his sister Carol (Ed) Firanski of West Mifflin; also many cousins and dear friends. Carl was a former school teacher at Homeville Junior High School; a member of Queen of the Rosary Parish and was a graduate of St. Vincent College. 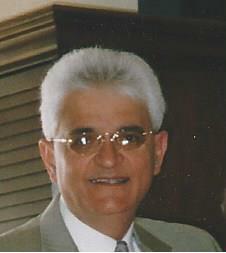 Friends received Wojciechowski Funeral Home, Glassport, Fri. 2-4 and 6-8. A funeral mass will be held Sat. 11:00 am at Queen of the Rosary Parish. Entombment following New St. Joseph Cemetery.